Alex has collected, sculpted and painted miniatures for more than 25 years. His favourites being those produced by Citadel in the 80's. Building an army is a very personal thing, it's all down to you to decide which models you want to use and how you want to employ them. For me this means using many of the miniatures I grew up playing with. I started collecting and playing wargames when I was just 8 years old and I am constantly finding myself drawn back to those early efforts to create something unique. Not only that but I am a firm believer in the Oldhammer principle that you can't see a sculptors personality in a miniature that has been designed on the computer and printed by a machine. Hopefully I have goaded you into collecting something a bit different and a bit kooky by now. So the next thing to do is decide on a strong theme. 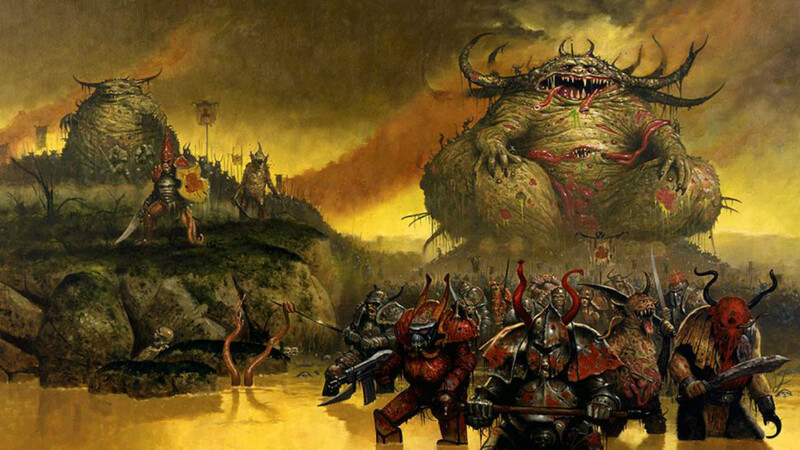 For my Chaos army I wanted a distinctly strange look, banners with old paintings on them and a cohort of each of the evil races such as Beastmen, Goblins, Orcs and Warriors. The more diverse an army like this the better it looks, as your eyes are drawn to different things each time you look at it. When you have chosen a theme come up with a sympathetic colour scheme too, this will help bring together different parts of the army with a unifying look when displayed. Note: Feel free to change the theme of the army as your collection grows, this can be a fun way to stay interested and motivated. So you have decided on your theme, now you need some miniatures. Contrary to popular belief there are many manufacturers out there that provide excellent miniatures. Games Workshop can no longer claim to build the best miniatures in the world. 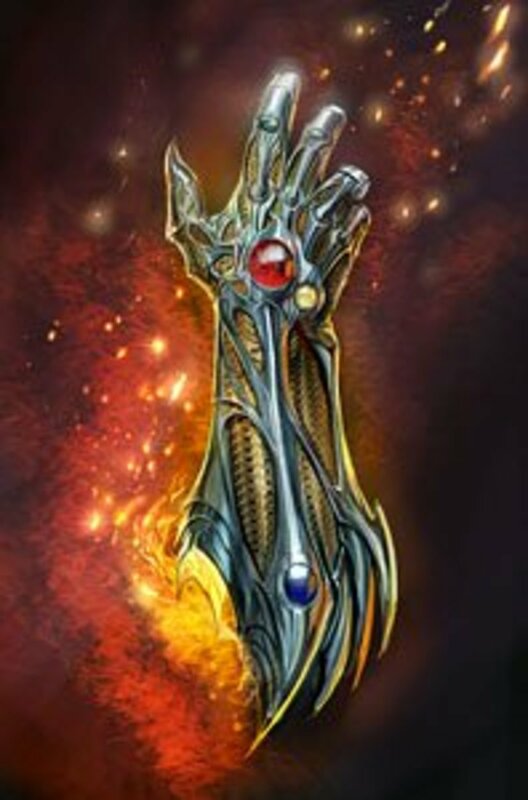 Popular alternative manufacturers include Gripping Beast, Mantic, Mierce, Reaper and Scibor. Meanwhile there are thousands of old metal models available on eBay, most in various states of disrepair. As a rule try to only buy what you can paint in a reasonable time frame. 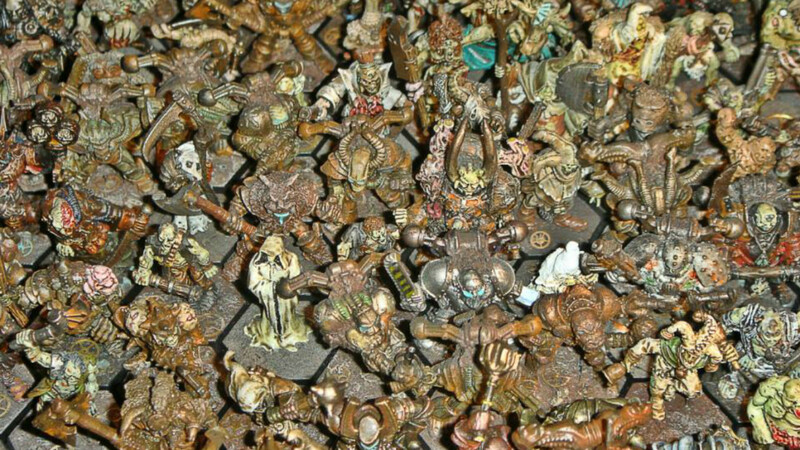 Note: Old poorly painted miniatures can be saved from their miserable fate simply by soaking them in neat Dettol overnight to remove any offending paint job. One of the key things to do when collecting is keeping the momentum up. 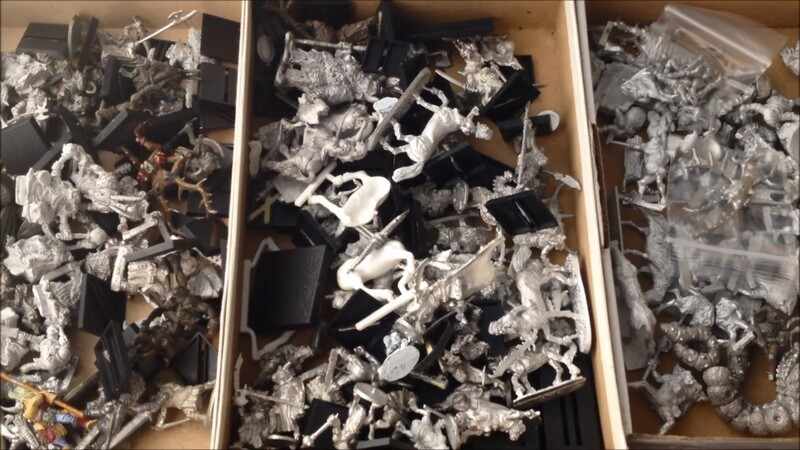 If you are a serious collector then you will probably already have hundreds of models lying around begging to be painted. If you are just starting out then there is often a tendency to buy as much as possible as quickly as possible. There are several methods I use to keep things going, each technique has its own benefits and drawbacks but they do work. Firstly I like to change things up, paint something different once in a while, this can help if things are starting to get a bit tedious with your current project. However it can take your focus off your current project entirely if you aren't careful. Secondly you can try doing something else altogether, I often take a couple of days off and come back once I feel a bit more enthusiastic. Again you have to make sure this doesn't become a habit and you end up doing your alternative activity rather than actually painting. Thirdly you could power through, there are times when you simply need to force yourself to sit down and paint something, even if you only base, varnish or glue some models together. This can lead to burnout if you aren't careful so use with caution. 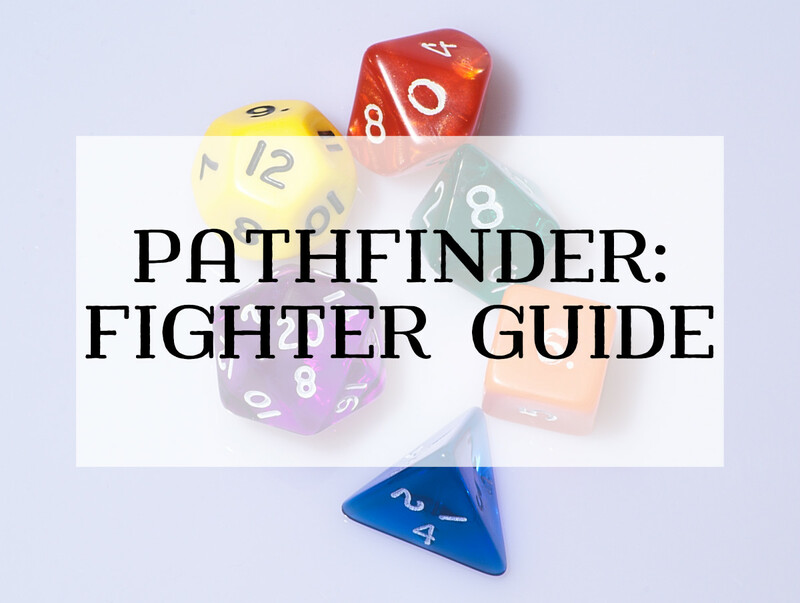 You now have the basic knowledge to start your own collection of fantasy miniatures. Remember to take breaks, collect only what you find visually appealing and enjoy the process of collecting, building and painting your army.